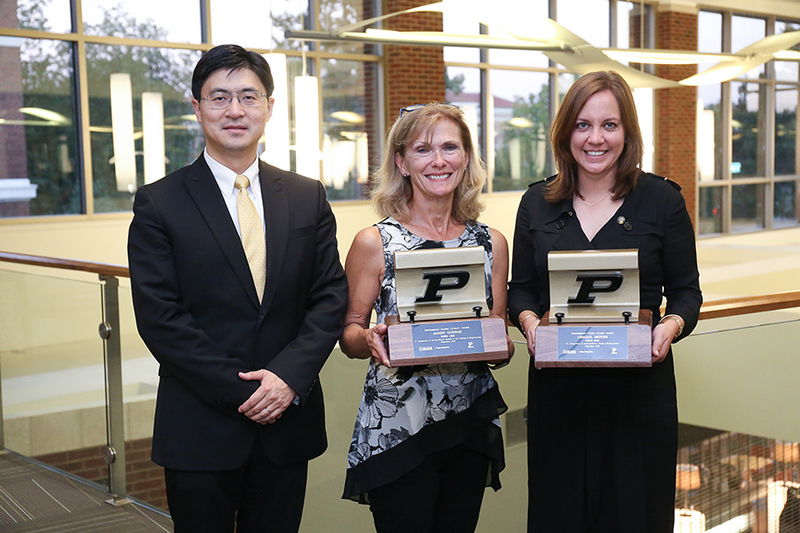 On Friday, September 14th 2018, the Purdue College of Engineering Alumni Board presented Janet Goings and Abigail Moyer with the Purdue College of Engineering Alumni Loyalty Award and the College of Engineering Young Alumni Award, respectively. Janet Goings, BSEE ’82, was awarded the Loyalty Award for her service and dedication to the College of Engineering and her success within industry. Her contributions to General Motors, where she has spent her entire career, have included the development of advanced automotive control systems, new vehicle concepts, the launch of OnStar, growth market strategies, technology introduction strategies and the implementation of design thinking at GM. Janet has also served as a member of GM’s Purdue University Relations team for years and returns to campus often to recruit students for co-op and other employment opportunities. In addition to being a regular recruiter for GM, Janet also regularly speaks with Purdue students in the Women in Engineering and Electrical and Computer Engineering programs. Janet is a loyal Boilermaker who never lets an opportunity pass to share her love for her alma mater. Her willingness to volunteer to speak about her experiences at Purdue and in her career speaks volumes to her dedication to future generations of Purdue students. Abigail Moyer, BSCE ’06, has shown rapid career growth in her 12 years at ExxonMobil by overseeing several megaprojects for ExxonMobil’s Development Company. By 2014, she had moved up into a leadership position where she was responsible for a portfolio of projects and a team of around 30 professionals. Her projects and staff are located in eight countries throughout the Middle East and the Asia-Pacific. Abigail is currently a Strategic Venture Planner with ExxonMobil. 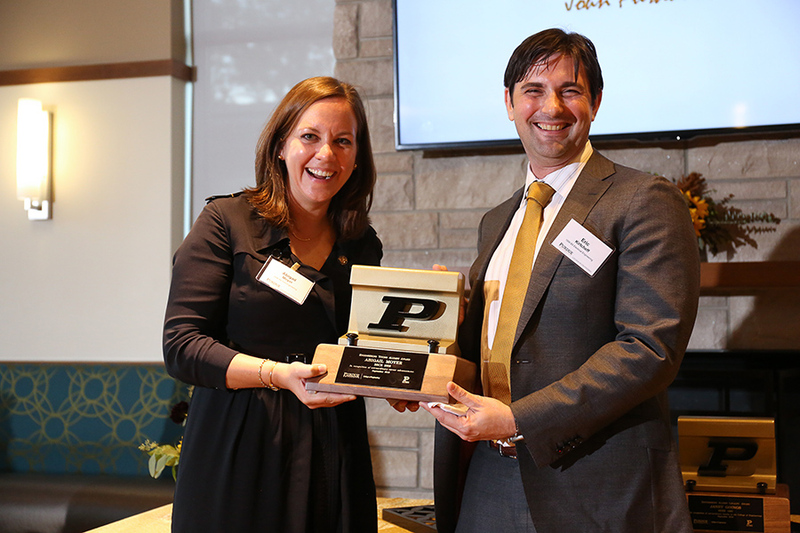 In light of her impressive career at such a young age, Purdue Engineering awarded Abby with the 2018 Young Alumna Award.